We don't have any trips to Ottawa at the moment . Ottawa is not just a beautiful city full of North American history, but also a cosmopolitan capital with amazing natural, cultural, commercial and leisure attractions on a par with any big city in the world. In recent years Ottawa has become a primarily governmental city and also a centre of technological development. 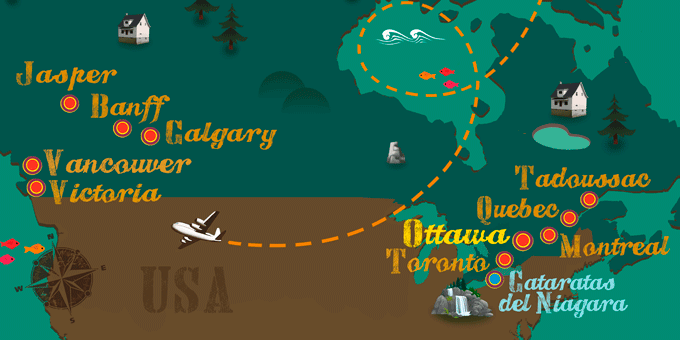 If Ottawa has caught your attention, leave us your number so we can call you to discuss the voyage that awaits you.